Time for 'lights out'! 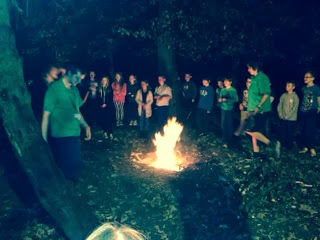 We've sung songs and played games around the fire followed by hot chocolate and a biscuit! A great first day! Now time to get some sleep. Breakfast at 8am in the morning. Good night! Thanks for the posts - looks like fun. Hope all sleep well; very quiet on the home front!